Happy Publication Day to The Oyster Thief by talented author Sonia Faruqi! This book is on sale today! Welcome to my stop on the Blog Tour for this beautifully written novel. Look at that book cover. It is simply gorgeous! Thank you to Penguin Random House Canada for inviting me to be a part of this exciting Blog Tour for the book. The mermaid’s scales were bronze, and they shimmered like hundreds of pennies arranged close together. Her immense blue-green eyes gave a look of fragility to her face, yet he found her eyes unsettling. She was leaning against a thirty-foot-long shark, which emerged from behind her and opened its mouth to reveal a great big cavern lined with hundreds of teeth—a black tunnel ready to swallow him. The quest pushes Coralline and Izar together, even though their worlds are at odds. Their pasts threaten to tear them apart, while a growing attraction adds to the danger. Ultimately, each of them faces an impossible choice. Should Coralline leave her fiancé for a man who might betray her? And Izar has a dark secret of his own—one that could cause him to lose Coralline forever. Magnificent and moving, set against a breathtaking ocean landscape, The Oyster Thief is a richly imagined odyssey destined to become a classic. This book was a beautifully written story of an under water adventure. I found it to be like a modern day tale of The Little Mermaid. Faruqi takes you on a beautiful journey in the sea as a young mermaid takes on the journey of finding an elixir in the hopes of saving her brother who has become ill. Along the way we are introduced to many likable characters and I loved learning about them all and their different ways of life under the sea. We are introduced to a wide variety of different characters in the book and it was interesting to read about them all and get an understanding of their various personalities and their life. The writing in the book makes you feel as if you are there in the ocean world with the characters and their world under water seems to come to life in a very colourful way in the book. A magical story that takes the reader on this beautiful and incredible journey with them. 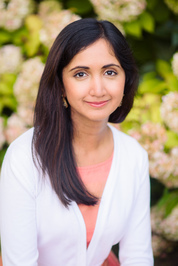 Sonia Faruqi is the author of critically acclaimed Project Animal Farm. A masterful storyteller, she pushes the boundaries of imagination in her debut novel, The Oyster Thief. She lives in Toronto. It isn’t hard to imagine what life is like under the sea with this book. I agree. A beautiful underwater adventure world.